GM plans to introduce 25 new and upgraded models in China by 2012. 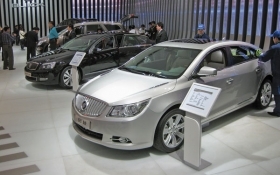 Some new Buick models were on display at the recent Beijing auto show. BEIJING -- General Motors Co. is counting on growth in developing markets to fuel its post-bankruptcy revival, and it's not just talking about China. GM forecasts that sales in China will pull even with its U.S. volume this year and will exceed home market sales in 2011. But it also is banking on sales gains in several other emerging markets. Markets outside the United States and Europe accounted for 44 percent of GM's volume last year. Tim Lee, GM's new international operations boss, said the figure should be even higher this year. "We'll have a ratio greater than 44 percent in 2010," Lee said in an interview at the Beijing auto show. "It's very important and growing. 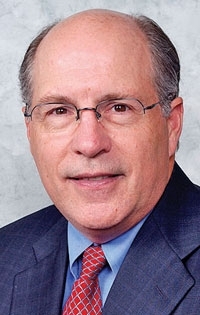 We are a strong contributor to the profitability of General Motors." Lee, 59, appointed to the Shanghai-based post in December, oversees operations in 130 countries throughout Asia, Africa, the Middle East and Latin America. His jurisdiction includes China, India and Russia -- and all markets are poised for big gains this year, he said. In booming China, GM's sales will rival U.S. volume this year. "In 2010, it's probably a jump ball," Lee said of GM's sales in China vs. the United States. "Add up the numbers in the first quarter, and I think we probably did outsell the U.S."
GM and its joint ventures expect to achieve their target of 2 million sales this year in China. That is four years ahead of the company's five-year plan, announced a year ago. Last year GM sold a record 1.83 million vehicles in China, now the world's top auto market. To power its growth in China, GM plans to introduce 25 new and upgraded models in 2010 and 2011. Among those is the Chevrolet Volt, GM's upcoming extended-range hybrid. China overtook the United States as the world's biggest auto market last year. In the first quarter of this year alone, total light-vehicle sales in China jumped 71 percent to 4.37 million. Lee expects China's lead will only widen: "It would be hard for the U.S. to catch up." The outlook is just as bright in other emerging markets. GM sees 9 percent sales growth in Brazil, 10 percent growth in Russia and a doubling of volume in India, albeit from a base of just 60,000 vehicles. The company sells only passenger cars in India and sees those sales climbing to 169,000 in 2010, for a market share of 4.5 percent. But GM has bigger ambitions. The company is finishing a new engine plant in India. And in December GM announced a venture with its Chinese partner, Shanghai Automotive Industry Corp., or SAIC, to build and sell small cars and commercial vehicles on the Indian subcontinent. When commercial vehicles are added to GM's lineup in India, Lee predicted the automaker will control 10 percent of that market in the next couple of years. The trend is part of GM's stated aim to build where it sells. And in the area overseen by General Motors International Operations, it has production capacity of 4 million to 5 million units -- or roughly half of GM's total global capacity. Expanding that international business not only will bolster GM's ability repay U.S. government loans; it will move the government-owned company closer to a public stock offering. Said Lee: "We are very focused on the sustainability of the company and the next steps thereafter, which are obviously the concept of an IPO."